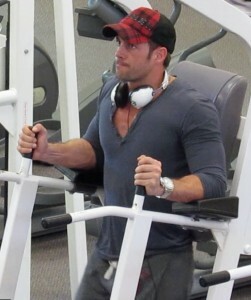 William Levy, the “Latin Brad Pitt” working hard on his abdominals at the local gym. This entry was posted in Latin Celebrities and tagged abdominals, cuban, gym, miami, soap operas, telenovelas, william levy, workout. Bookmark the permalink.